The team dashboard is a single workspace where all your team’s visual collaboration happens. Everyone in your team can see how a project is progressing and contribute to it with their own work in seconds. It’s the foundation of your teamwork. There is no tedious back and forth sharing. You can leave feedback, collaborate and get approvals – all in one place. To access the team dashboard, use the switch at the top bar from your Mac and Windows apps, or choose it from the sidebar on the web app under My Uploads. 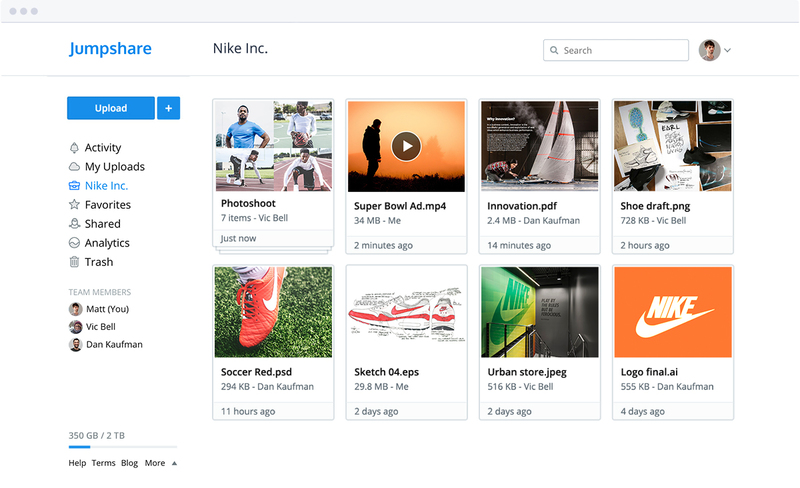 Once you’re on the team dashboard, anything you upload here is shared with your team. All team members are automatically notified when you upload a file or leave a comment on the team dashboard, allowing everyone to participate. Just like a regular inbox for every team member, Jumpshare Business brings a collective team inbox which can be enabled by an administrator. Whenever your clients share their files via the team inbox, everyone in your team will be notified automatically and the files will show up in the Team Inbox folder in your team dashboard. 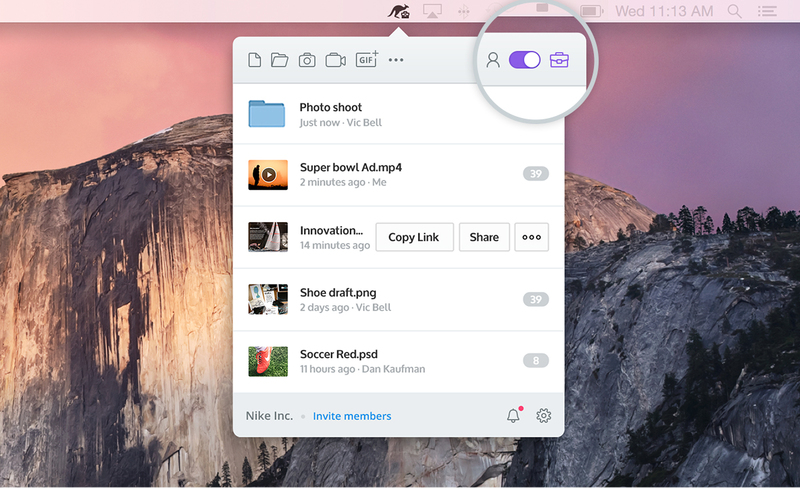 The team inbox gives the whole team access to all necessary files for a single project in one place. 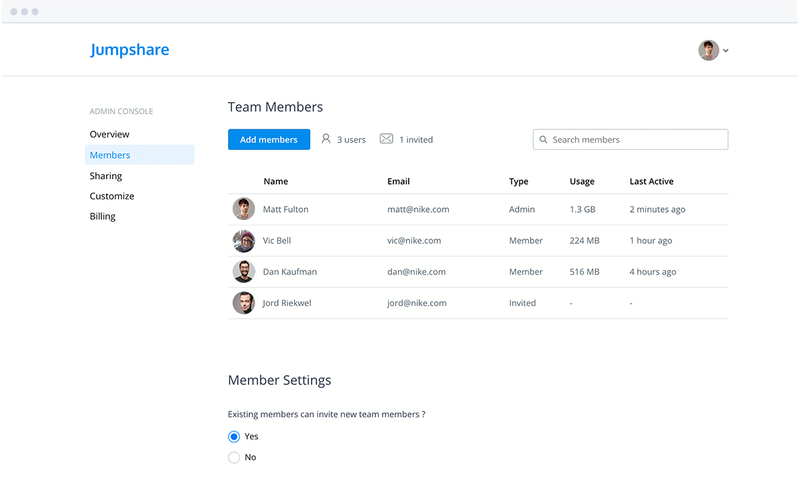 Whether your team is in the same room or spread across the globe, you can easily manage team members, set organizational controls, track team activity, and stay in control of company data from the Admin Console. Set up a team inbox so that all files received from clients can be accessed by everyone in your organization. Team members also have an option to set up a private inbox so that only they can receive the files from clients. 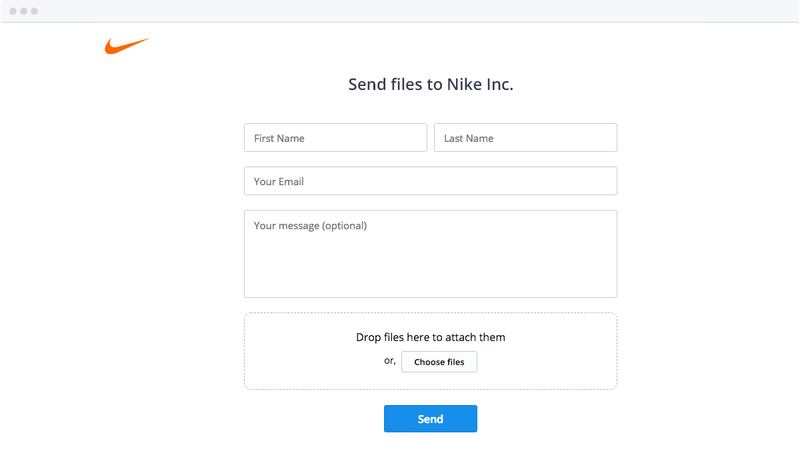 Set custom messages in folder page sidebar and share email footers to guide customers and clients. 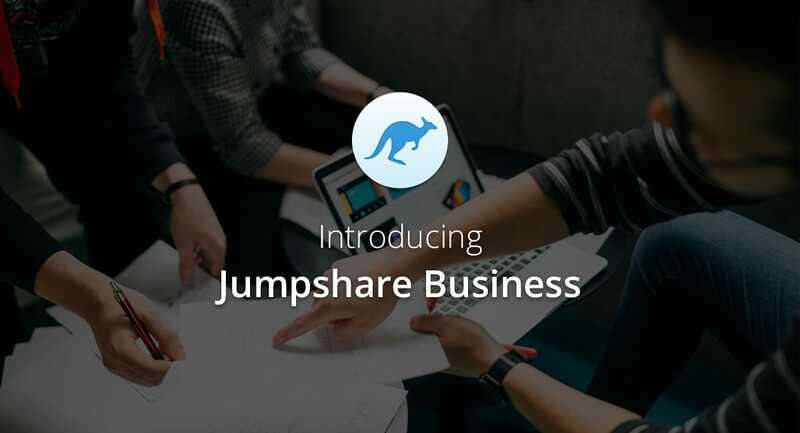 Many of our business customers are using Jumpshare Plus by asking team members to upgrade their accounts individually, therefore passing the company credit card around to everyone and thus generating 10-12 different invoices every year. 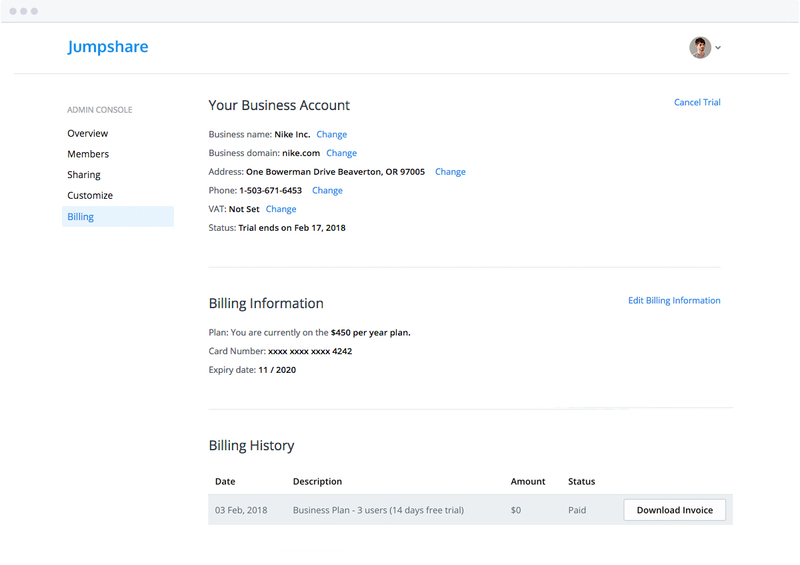 With the Jumpshare Business plan, we’re bringing consolidated billing to the entire organization. Now only the administrator has to enter the credit card details and invite team members, allowing easier onboarding and accounting. Since businesses have to file taxes, they require a proper invoice with their company address, phone number, and VAT. The Business Plan now offers an invoice option required by businesses for tax and accounting needs. The Jumpshare Business plan starts with 3 users at $15 per user per month. There is no limit to how many users you can add to your team. The Business plan comes with 2 TB storage space which is shared by the whole team. The plan also comes with as much bandwidth as your team needs. As your team grows, so does the requirement for download bandwidth and it’s automatically expanded to accommodate your usage. On top of this, the Business plan offers all features of the Jumpshare Plus plan, including advanced sharing options, custom branding, unlimited screen recording time, and more. The Business plan also offers 1 year of version history and file recovery compared to 30 days for the Plus plan. Lastly, the Business plan offers unlimited file size uploads and priority support while the Plus plan is now restricted to 20 GB file size for uploads. We’re just scratching the surface of what we can offer to businesses to help make them work even better. There’s plenty more to come. The Business plan is coming soon to the mobile website and the iPhone app. The Android app is also in the works. You should see more features for the Business plan and our apps in the coming weeks.